I would like to find out more about glowworm numbers found under reptile refugia. I have recently been told about a reptile translocaiton in Essex where hundreds of glowworms (larva) were found and moved to the reptile receptor site. I dont have any more details on this site though. I have counted a maximum count of 12 larva under black felt (Kent) and maximum count of 9 under corrugated iron tins (Reading). Collegues of mine have also found glowworms under roofing felt in another site in Kent. 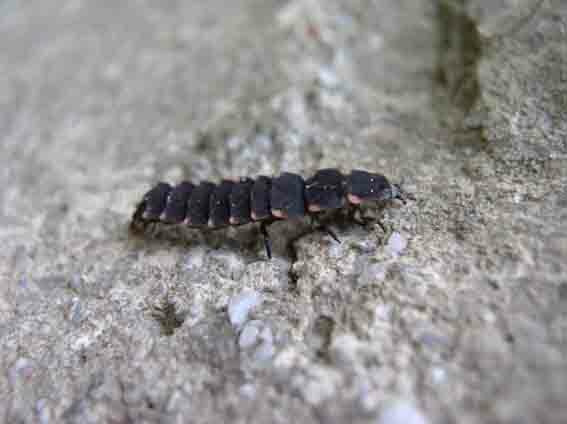 I would like to know if anyone has noted any numbers of glowworm larva under refugia in their reptile surveys this information would be very useful. PS Lee dont worry the reptile records from Kent. These will be sent to you in due course!!! Largest count I've had in Kent was 5 (10/10/03 09:41). This was under a carpet tile from a previous survey at the site. I've also recorded individuals under tin and roofing felt. I've had individuals under felts in Hampshire and East Sussex, but never more than 1 per felt and no more than ten in total on either site, despite each site having approximately 200 felts out. Hampshire site was unimproved species rich grassland/meadow, Sussex site was FC land, with mixed plantation, interspersed with areas of dry lowland heath/heathy grassland. Nothing on refugia for you but at a site in Kent where I worked as warden for a number of years there were always large numbers of Lampyris. local recordes got all 'goose pimply' about the numbers and it seemed that they were most pleased about the locations on site whose aspect facilitated moist warm conditions. I don't want to make a story out of nothing but it seems to me that the gradient of temp' v humidity we use under refugia could do well for lampyris also. One question, what was the geology of the donor site and where any records taken of the other environentsal foctors there, these appear crucial to lamphris colony success and sustainability, at least in terms of adults. Although as I understand it knowledge of the larval ecology of this species is very subjective at best and so the translocation may have achieved very little in the conservation of this species. Another thing that occurs to me is to check which species they were as if if was Phosphaenus there will be a bit more interest in what may have been found. See the 'UK Glow Worm Survey Home Page' for some more info and help. The translocation exercise was undertaken on a parcel of land within Grays, South Essex. The geology is I understand is 'chalk' the development is within old chalk quarries. I am looking at testing refugia (materials and sizes) next year for their effectiveness for glowworm larva survey. This will greatly increase the amount of time that glowworms can be surveyed within sites especially relating to distribution of larva and adults within a particular site something that Robin (glowworm recorder) suggested. I understand that in Norfolk Nick Meade has possibly found a male under a felt tile. Bit of a late reply - apologies, just joined and have been reading the posts! In May 2005, I had a maximum of three Glowworm larvae under a felt on a site just north of Newbury, in Berkshire. No idea really to what degree they're in Oxfordshire, but about 11y'rs ago i came across one in the meadowy-like grassy undergrowth of BBONT's reserve at Sydlings Copse, just north-east of Oxford. From what i recall i was quite taken with some of the sporadic, pretty little flowers & was down on my hands'n'knees mooching about & somehow i just came across the little thing. 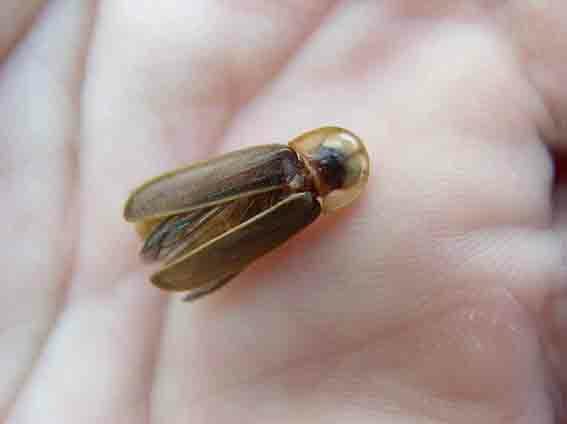 Not too into bugs back then, like now, so, naughty, or not, i curiously brought it back home to i.d. (knowing i'd be back the following week to further look around that reserve (& release the 'thing' back) & a couple of other reserves n'r Oxford.) Anyway, back home i put it in glass jar with some bits of grass & left it in the kitchen. Realising much later that night that i'd completely forgotten about bothering to get a book, or two, out to try & i.d. the thing i wandered back to the kitchen & was just about to flick the kitchen light on when that jar, resting in the kitchens semi-darkness, suddenly grabbed my attention! Well, actually, spooked me would be more precise, because of course there was a weird little light (sure was bluey green(?)) somehow coming from within the jar! It quickly dawned on me what i'd earlier suspected i just might have on my hands, but this spooky little, glowy arsed thing pretty much confirmed matters for me! I just remember thinking how perfectly electric lit it looked & yet it wasn't battery powered & neither was it plugged in!...Cool! 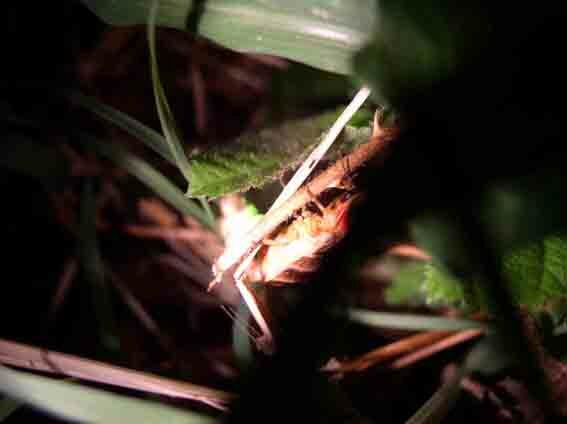 After releasing the clever little thing i've never searched for, or seen a Glow Worm since, & i've never been at that reserve 'till dusk, or nightfall. I reckon i might ask a couple of village friends from out that way if they've ever seen Glow Worms around.